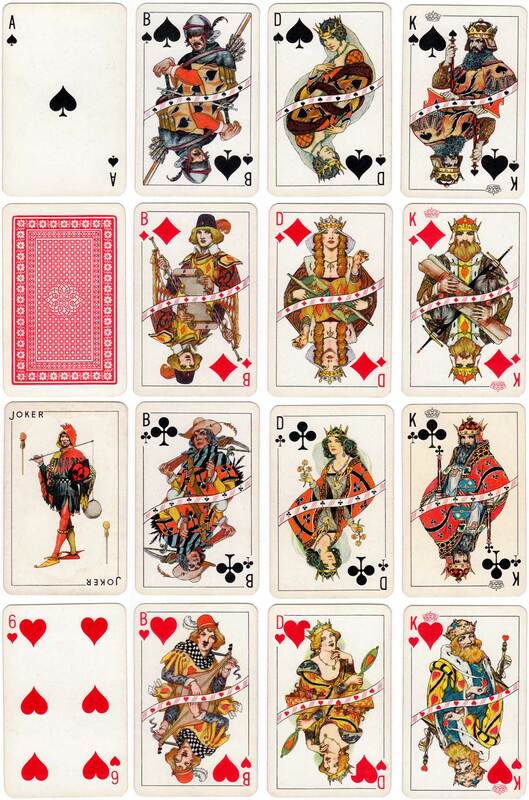 Non-standard playing cards produced by De la Rue & Co. (London), c.1930s. Above: playing cards designed for export, possibly to a German-speaking country, printed by De la Rue & Co. (London), c.1930s. Images courtesy Rex Pitts.